"); $("#pricing").parent().addClass("tablet-right-col"); $("#planDetailFeaturesCont").clone().addClass("tablet-show").removeClass("desktop-show").appendTo(".tablet-right-col"); $(".tablet-right-col #planDetailEstimatedCostCont #planDetailsEstCostText").attr("id","planDetailsEstCostText2") $(".BuyThisPlan").parent().addClass("tablet-margin"); // $("#ctl00_ContentPlaceHolder2_Body_DPN_lblCurrentAndTotal").parent().wrap("
Do you need an estimated cost to build? You will receive a detailed construction cost breakdown report based on your selections and where you plan to build. Exterior Wall Framing: 2" x 6"
FAQ's and easy customizing - click here! © Copyright by designer/architect Drawings and photos may vary slightly. Refer to the floor plan for accurate layout. The has 4 bedrooms and 3 full baths. 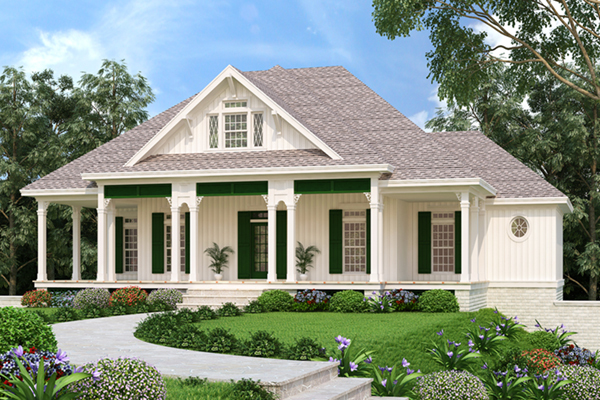 With front and rear porches designed to capture cool breezes, this gracious Southern charmer offers luxury both inside and out. Designed with 2" x 6" walls for maximum efficiency, the floor plan is compact and will fit on smaller lots with a sloping side perfectly. The first floor features an isolated master suite that's conveniently located near the kitchen. The master bath has an oversized walk-in closet, twin vanities, a private toilet and a giant shower. The kitchen is open to the living room and includes an eating bar and butler's pantry. The living room opens to a rear veranda, per for comfortable outdoor living. 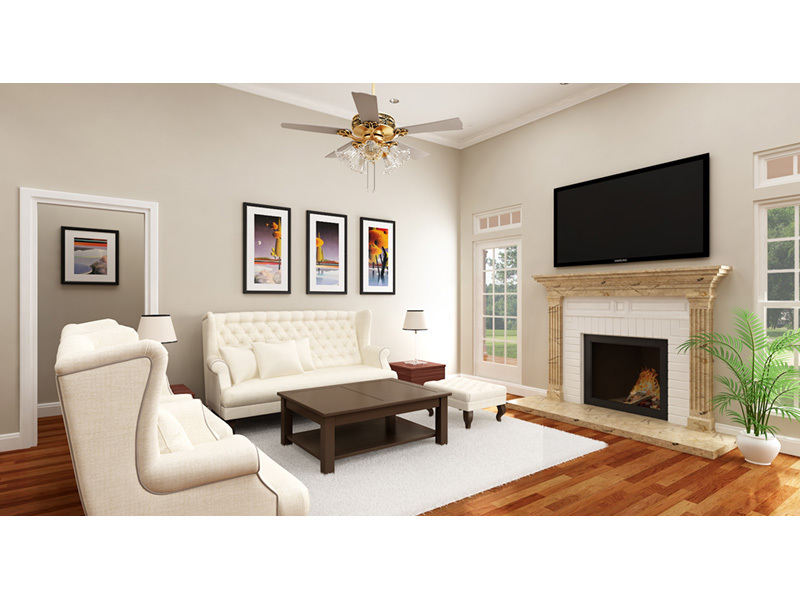 The home plan can be many styles including . Need to flip the floor plan? Which Plan Package is Right for Me? What Other Options Do I Need? Which Building Aids Do I Need?